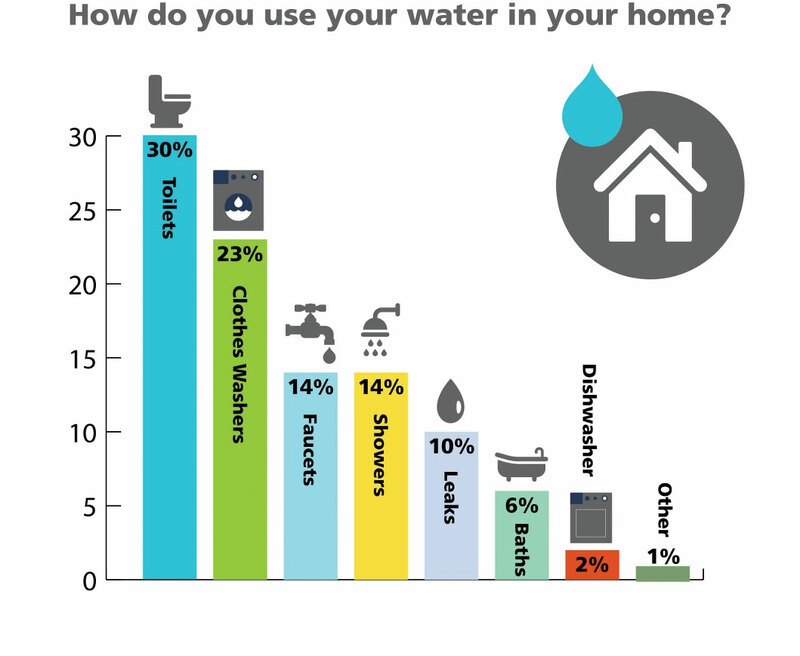 In North America, 15% of available fresh water is used in our homes and businesses, 43% is used by agriculture to provide us with food, and 42% is used by industry to make the products that supply our households and businesses. Water is also used in the natural environment to sustain our ecosystems. BC residents use, on average, about 350 litres of treated drinking water in their homes every day – more than two times the volume of a typical bathtub, filled to the top! Of this, only 1.5 litres is used as drinking water – the rest is used to flush our toilets, bathe, wash our clothes and dishes, water our lawns and gardens, and sustain our households.Imagine if our water systems fail? We rely on our water systems to keep us clean and healthy. There is no substitute! We can all support our water systems. TAKE ACTION NOW!